Oh, My Pop Culture Paradise: How Far is Heaven? The concept of Paradise, the idea of some final reward waiting for the good folks after death, is a part of many religious traditions. 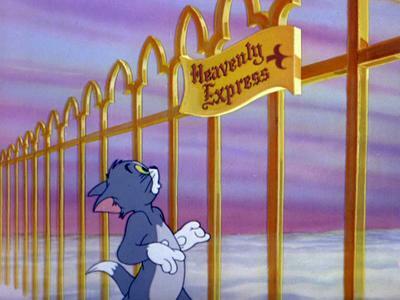 From Dante’s Paradiso to that episode of Tom and Jerry where Tom dies and St. Peter won’t let him into heaven unless Jerry forgives him, we have a bit of a cultural fixation on the good life after death. Am I the only one who remembers this? We’ve gotten pretty creative about portraying it, too. It’s not all angels in white dresses wielding harps anymore. That’s a lame excuse for letting a musical get away with being horribly sexist, but I grudgingly admit that the music is good. Now, if someone were to ask me what I think the most sexist and damaging musical is I could no longer say Grease. Grease now has the number two spot. And on top of being horribly sexist, this musical doesn’t even have the benefit of having decent music. Ladies and Gentleman, I give you, The Devil’s Carnival!